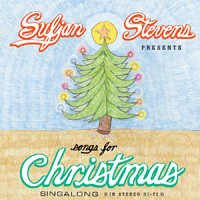 As fans of Christmas and Sufjan Stevens well know, the singer records an EP of holiday-themed music ever year. The first five volumes were released as a box set; the sixth, done with the National’s Bryce and Aaron Dessner as well as the Arcade Fire’s Richard Parry, remains in the Sufjan archives. Per Consequence of Sound, the Dessners finally shared a pair of the EP’s eight songs on BBC6 recently — the whole set’s great (you’ll have to take my word for it) but here’s one they played on-air.